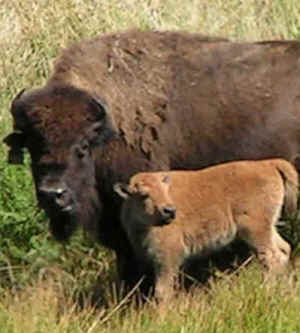 Following the 2011 calving season, Catalina now has only three more baby bison, compared to 29 in 2010. A humane solution to the problem of bison overpopulation on Catalina Island has been found. Over the years the bison became a tourist attraction, but the population grew to more than double what the island can adequately sustain. IDA has been working to humanely reduce the overpopulation of bison on Santa Catalina Island. We are now working with the Catalina Island Conservancy to sponsor a contraception plan coordinated by Dr. Jay Kirkpatrick of Zoo Montana using the non-hormonal vaccine PZP, which stimulates the bison's immune system to produce antibodies that prevent conception. The goal is zero growth. The few calves born each year offset the annual mortality, so the population is held at approximately 150 animals, a sustainable number.